Sri Rajarajeshwari temple is no ordinary place for the devout, it has both mythological and historic connections. From time immemorial, man has looked to the heavens and Gods for hope and strength or shakthi to stave off evil and save himself from the marauding forces of an enemy. No king would dare to go into battle without the blessings of the Gods and Goddesses. Thus evolved the ‘Sapta Matrika’ cult in coastal Karnataka, where the Sapta Matrikas (Seven Mothers) are revered in an ancient form of Shakthi worship. 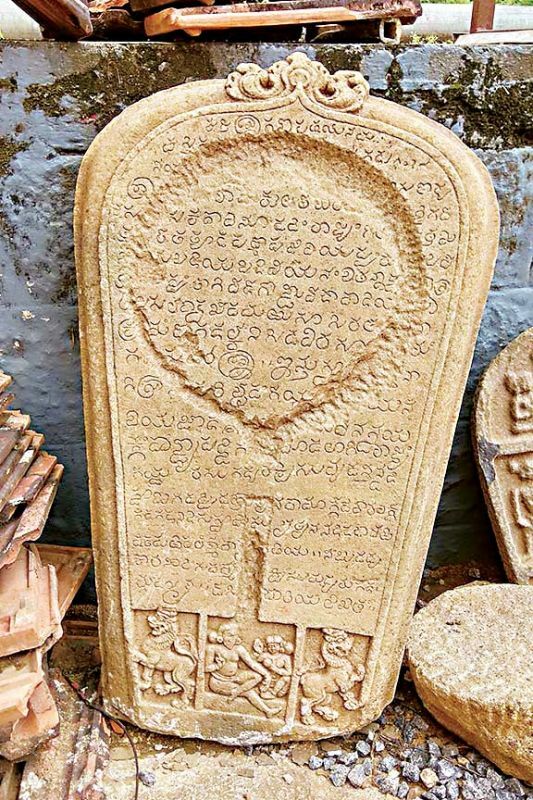 GURURAJ A. PANIYADI explores recent discoveries of inscriptions and archaeological treasures which throw light on the Sapta Matrikas and the amazing beliefs of people of a forgotten age. Among the few temples dedicated to the Sapta Matrikas in the state is the Sri Rajarajeshwari temple at Polali in Bantwal taluk, about 20 kms from Mangaluru, considered one of the most ancient shrines with a documented history of over 1,600 years. 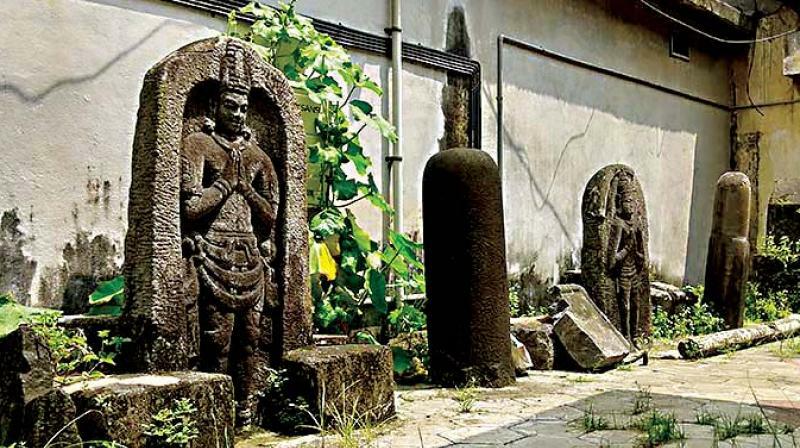 What has intrigued historians is the recent discovery of an inscription and three 'Veeragallu' or Hero Stones dedicated to warriors who died in battle, during an excavation for renovation of the temple. They are the latest attraction at the temple and are drawing a large number of devotees. Several historians are coming here to study them as they could provide valuable information. Sri Rajarajeshwari temple is no ordinary place for the devout, it has both mythological and historic connections. In fact, Rajarajeshwari Temple and Udyavara Shambhukallu Sri Veerabhadra Temple in Udupi are the two ancient temples dedicated to Sapta Matrikas in the coastal belt. For the Alupa royal family which ruled the coast for over 1,000 years with Udyavara as their capital, the shrines were the repositories of spiritual energy, being famous shakthi centres. Even today, the temple is considered very powerful with thousands of devotees arriving to seek the blessings of Goddess Rajarajeshwari like they have done for over 1,500 years! Goddess Kaumari, one among the Matrikas and the shakthi of Lord Kumara, is worshipped as the presiding deity. A big draw at the shrine are the clay images including those of Sri Rajarajeshwari (Kaumari), Sri Bhadrakali, Sri Subrahmanya and Sri Ganapathi in the sanctum sanctorum. It is believed that King Surathka who fled from his kingdom after a defeat, made clay images of the deities and prayed here along with a merchant, Samadhi, as per the guidance of sage Sumedha. The belief is that the King regained his lost glory and Samadhi too was able to solve his problems. The temple flourished due to the patronage of the Alupas. Several years ago, the oldest inscription in Dakshina Kannada district was discovered here and dates back to the early 8th century when the power of the Sapta Matrikas was invoked to protect the Alupa kings. "The inscription is important as the name Sapta Matrika is mentioned here. It clearly shows that the Sapta Matrika cult was famous here at the time the inscription was written," says historian Dr P.N. Narasimha Murthy. "The temple may have been famous at least two centuries before this inscription was created which means it has a history of about 1600 years," he adds. Another inscription was found on the lintel of the temple which dates back to 9th century AD proving that the shrine was renovated at that time. On the side of the temple are two lingas and two carvings of human forms; historians date them back to the 8-9th century. "The human form must be of a devotee but he does not seem to be a common man. The crown on the head shows he could be of royal descent, maybe a king," Dr Murthy adds. The inscription discovered last week, is one of the beautifully carved ones found in the coastal belt and dates back to 1117 AD. It speaks about the martyrdom of Nambi, a bodyguard of King Kulashekhara. "What’s important in the inscription is the mention of 'Alvakheda Arusasira' (Alvakheda 6000 as the kingdom of the Alvas was then called). The number 6,000 probably indicates the number of divisions of the kingdom. 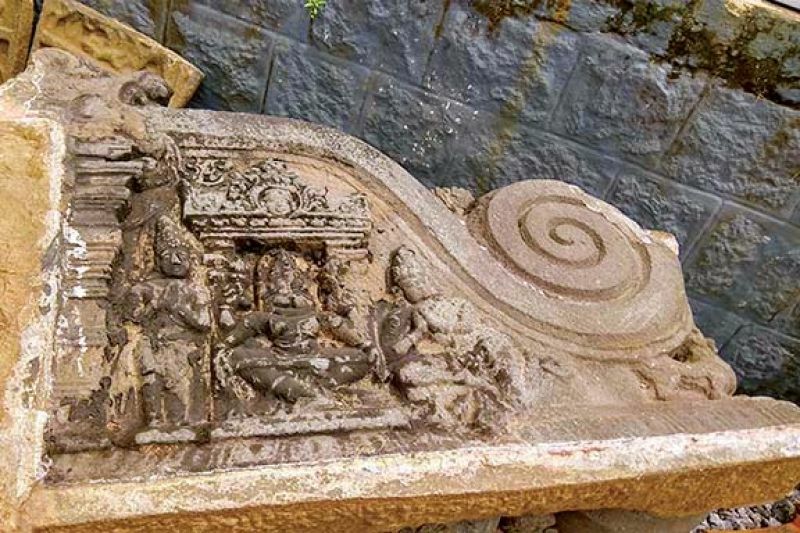 This is the first time we find an Alupa kingdom inscription mention the kingdom as 'Alvakheda Arusasira," says Dr Pundikai Ganapayya Bhat who deciphered the new inscription. Dr Narasimha Murthy feels the inscription proves the place was an important religious centre. “A king prefers to put an inscription or Hero Stone in a place where it is safe and which is visited by many people and usually selects a famous temple for this. If the inscriptions are put in a temple, no one would dare to destroy them fearing the wrath of god," he explains adding that the inscription proves the Sapta Matrika cult was very popular in the 7-8th century. Polali, the Alupa kings and Rajarajeshwari Temple are a delight for anyone who treasures history for they bring to life in us, a yearning for a time when life was all about valour and chivalry, when battles were fought for something as simple as land and honour. And when kings and commoners alike revered Gods and Goddesses like Kaumara and Rajarajeshwari, for it was the faith and fervour they instilled, which made all the difference between victory and defeat.